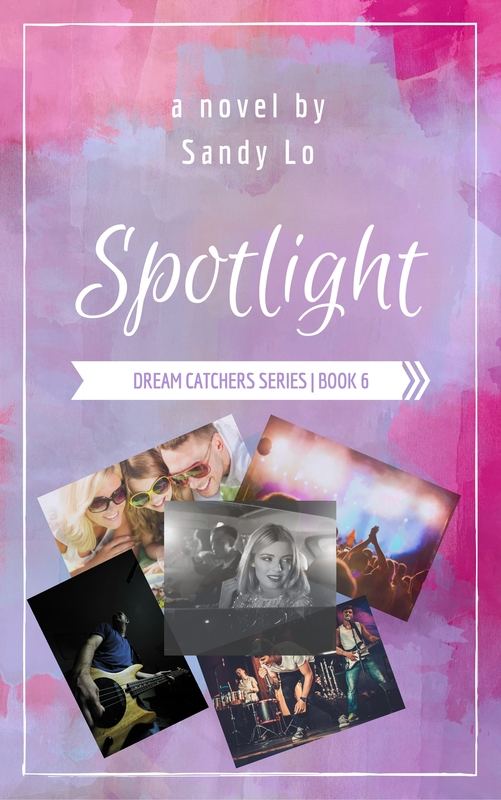 The Dream Catchers Series by Sandy Lo begins with the journey with Haley Foster, a sheltered rich girl who has never experienced life until she meets Jordan Walsh, an unpolished rising rock star. Together the duo overcome issues from their past and explore their futures. The series follows Haley, Jordan and their circle of friends/relatives. This entertaining series is filled with heartwarming emotion, great laughs and encourages you to be true to yourself. This entertaining series is filled with heartwarming emotion, great laughs and encourages you to be true to yourself. Currently, there are 5 parts in the series. Sandy is in the editing process of Book 6, “Spotlight” to be released in fall of 2016.